Must like long walks through a historic district on a January day. Craves sweets. Enjoys self-guided tours. Hand-crafted samplings of sweets from 15 food purveyors: Living Room, Encore Baking Co., Pie Oh My!, Strange Donuts, Traveling Tea, Great Harvest Bread Co., La Cosecha Coffee Roasters, Penzeys, Boardwalk Waffles and Ice Cream, Vom Fass, Larder and Cupboard, Foundation Grounds, Mystic Valley, Kakao Chocolate & Schlafly Bottleworks. Tickets $21 plus tax and charge, while supplies last. Parking in Historic Downtown Maplewood is free. Look for Event Parking signs and parking on-street. You can take the Metro Link to the Maplewood-Manchester station and walk east to the event check-in OR transfer to the east bound #31 bus to the Manchester/Southwest stop. Do I need to check-in at the event? 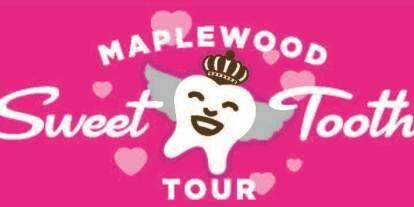 Yes, please come to the Schlafly Bottleworks, 7260 Southwest, for your Sweet Tooth Tour directory and pass. You will need the pass to participate in the tour. Check-in will begin at 11:45 AM. Please be prepared to show a receipt at check-in. This is a rain or shine or snow event. In the event of severe weather, we will reschedule the event. You will be notified via email if such an event occurs.